Saint-Exupéry, a laureate of several of France’s highest literary awards and a reserve military pilot at the start of the Second World War, wrote and illustrated the manuscript while exiled in the United States after the Fall of France. He had traveled there on a personal mission to convince its government to quickly enter the war against Nazi Germany. In the midst of personal upheavals and failing health he produced almost half of the writings he would be remembered for, including a tender tale of loneliness, friendship, love and loss, in the form of a young prince fallen to Earth. I heard people raving about this book and I completely understand why! “The Little Prince” is centred on a little prince who leaves the safety of his own tiny planet, embarks on an ‘intergalactical’ journey and experiences interesting encounters with grown ups in different planets. His story is narrated in his conversation with an aviator he met who made a forced landing due to engine failure in the Sahara dessert – a place, that is often portrayed as lonely, sad place where life will meet its end, is interestingly chosen to be the place of birth of enlightenment and connection. Combining innocent, honest and imaginative storytelling style with premise that rings true with what human always longs for, “The Little Prince” possesses an everlasting charm. 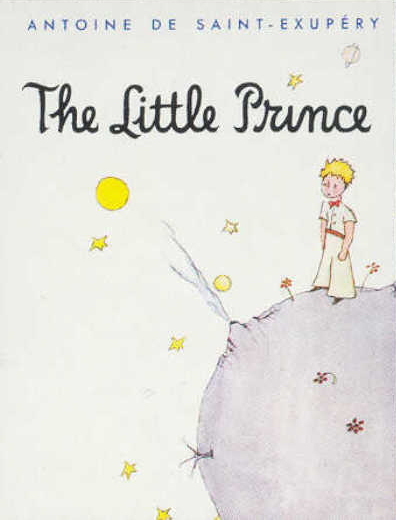 “The Little Prince”, through several types of grown up living in their own small ‘planets’, presents us anecdotes of grown ups’ desire and banalities seen through innocent eyes: greed, narcissism, quest for power, wisdom without real action, conformity without questioning. It begs us to question what growing up is all about – have we lost sight to what is important to conform with society’s expectation? In a more essential level, The Little Prince reminds us about the importance of human connection and how we need it and are responsible to nurture it once it is formed. Connection is built through efforts and moments together. It is so personal that no one can fully grasp it unless you are the subject of that connection. Letting one’s guard down, the courage to experience, be it happiness, longing, suffering, loss or grief – that is what stops our lives from being like a machine. It may not be perfect and has its own problem but it makes our lives meaningful. “The Little Prince” is not just a children book. It is a book that everybody should read, especially grown ups and is definitely one of the books that I will revisit time after time.